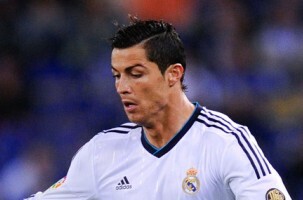 It has been reported that Real Madrid president Florentino Perez will not sell Cristiano Ronaldo to Chelsea. The People claims that Jose Mourinho is expected to seal a deal for a return to Chelsea this week – but Real Madrid president Perez insists Ronaldo will NOT be going with him. That stance will also frustrate Manchester United, who were hoping to tempt Ronaldo into an Old Trafford return – and had been in talks with their in-coming shirt sponsors General Motors to fund the player’s £55million transfer fee and £10m salary.